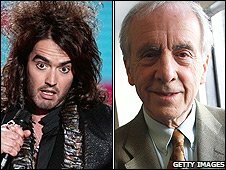 Ofcom says it is going to launch an investigation into Russell Brand's prank telephone calls to actor Andrew Sachs during his Radio 2 show. The star was called four times by Brand and guest Jonathan Ross on a pre- recorded show broadcast on 18 October. Ofcom said all BBC broadcasters must adhere to its broadcasting code, which sets standards for the content of TV and radio programmes in the UK. The BBC apologised to Mr Sachs on Monday for the "unacceptable" calls. Sachs' agent said the Fawlty Towers star was "very upset" after Brand and Ross left lewd messages about the actor's granddaughter on his voicemail. The 78-year-old had been due to appear as a guest on the programme, but was unable to appear due to unforeseen circumstances. Brand and Ross went on to leave him a series of messages during the two-hour radio show, which included obscene comments about 23-year-old Georgina Baillie. Brand's connection to Ms Baillie had been revealed during a conversation in the previous week's show. In the first telephone message, Ross suddenly swore and said Brand had slept with her. He then apologised and said he "got excited". Brand himself apologised for the offence on his latest show. The comedian has also sent a personal apology to Sachs, but "will not be commenting further on the subject", said his publicist, Barbara Charone. Sachs told the BBC that, as of Tuesday morning, he had not seen Brand's message. 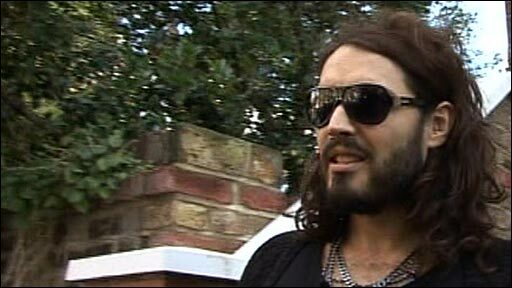 However, he had been contacted by Jonathan Ross who sent him a "really sincere apology. A total apology." Asked whether he had seen calls for Ross to be sacked the actor said: "I think Jonathan is in enough trouble as it is. I don't want to add to that." A Radio 2 spokeswoman said on Monday the BBC was "reviewing how this came about" and apologised to listeners for any offence caused. As of Tuesday morning, the BBC said it had received more than 4,700 complaints. A spokesman for the BBC Trust, the corporation's governing body, said its editorial standards committee had asked BBC management for a report on the incident, and to keep it informed about its review of what went on. "The trust will await this report before commenting further and without prejudice to any complaints on appeal it might receive in due course," he added. Ofcom's broadcasting code states that broadcasters must ensure that material which may cause offence - including offensive language - is justified by the context. In the most serious cases, the watchdog can fine the BBC. Conservative MP John Whittingdale, chairman of the culture, media and sport select committee, said, told Radio 5 Live the BBC must ensure this type of incident does not happen again. "This was a programme that was pre-recorded and was listened to and we're told that editorial staff had decided that it was suitable for broadcast," he said. "That does seem to be utterly extraordinary - I cannot see how the controls could've broken down so badly and this is something the BBC needs to look into." "The BBC needs to think about whether they want to go on spending this amount of money on individuals who are repeatedly found to be in breach of what are universally held as the acceptable standards of broadcasting," he added. In the House of Commons, Labour MP Andrew Mackinlay and Conservative counterpart Nigel Evans tabled a motion criticising Brand and Ross, calling their behaviour "base and vulgar", while Justice Minister David Hanson said he felt the pair should apologise. Former BBC chairman Sir Christopher Bland called the decision to broadcast the stunt an error of judgement, and told Radio 4's The World At One the corporation should have moved faster to apologise. "It wasn't quick enough," he said. "If you apologise quickly, you defuse situations, and it wasn't quick enough. "But having said all that, the meal that those who are not natural lovers of the BBC have made out of it all is excessive".